This week we celebrated the 20th anniversary of The Legend of Zelda: The Ocarina of Time, so now we’re going to continue that birthday party with ‘shops. I don’t have much love in my heart for The Ocarina of Time. I was a PlayStation person at the time, and I just missed out on many years of Zelda experiences. That said, just like a rival football team, ya gotta respect what they’re doing over there at Nintendo. A game where you convince kids that playing a tiny, goofy flute is cool? That’s a game design accomplishment in itself. But more seriously, The Legend of Zelda as a franchise has had a huge impact on the world of video games, and the foray into 3D represented by The Ocarina of Time was a big jump into the world of games that we’re familiar with today. Big ups to the team. 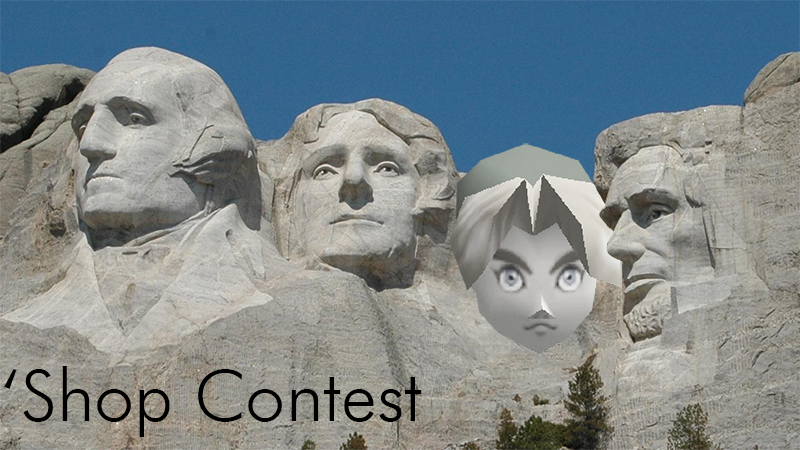 For the ‘Shop Contest this week, we’re just appreciating The Ocarina of Time. We’re all about putting link in positions of power, of honor, and in fantastical birthday parties. Really let your Zelda love out here. If you’re really itching for more volume, I’d suggest checking out the game’s Mobygames page for a plenitude of screenshots.